How is it that Libba Bray makes her characters so achingly real? I’ve talked a bit about character motives and character quirks in the past, and there are always more avenues to explore in characterization. 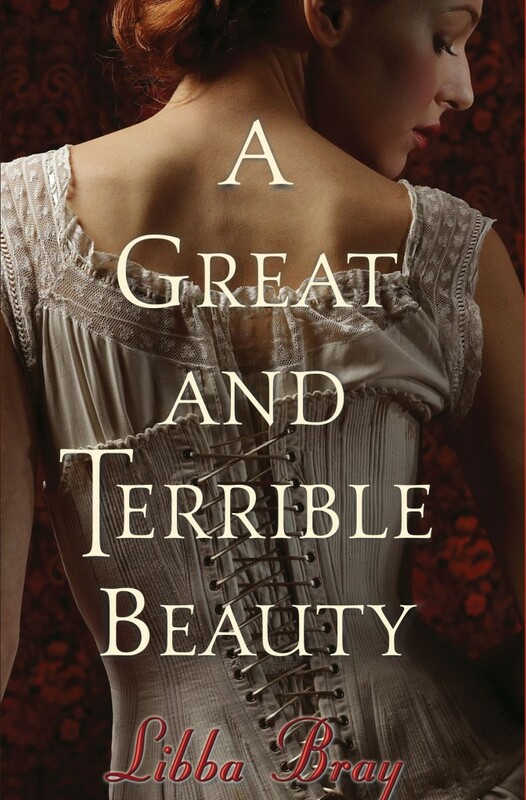 I’ve recently been reading Libba Bray’s Gemma Doyle trilogy, which begins with A Great and Terrible Beauty. The cover, a young girl in a corset, threw me off when I first saw it, as it looks like some silly romance; however, I had heard some great things about Libba Bray and was intrigued by the book blurb. Generally, I can read the first couple paragraphs of a book and decide if I want to buy it; A Great and Terrible Beauty passed this test and pulled me right into the mystery. Her white-blond hair is arranged neatly in a bun, as young ladies must wear their hair, but even so, it seems a bit wild, as if the pins won’t really hold it. Arched eyebrows frame small, gray eyes in a face so pale it’s almost the color of an opal. She’s amused at something, and she tosses her head back and laughs heartily, without trying to stifle it. Even though the dark-haired girl is perfect and lovely, it’s the blond who gets the attention of everyone in the room. She’s clearly the leader. What did Bray do here that characterizes Felicity? In just a paragraph, and without stopping the scene to describe the character, Bray creates a dynamic, fluid picture in our minds. One of the most important things here is showing the way others react to a character, something often overlooked. What other strong characters stand out to you? What makes those characters stand out? Posted in Craft and tagged books, character, character motives, character quirks, description, detail, Felicity Worthington, Gemma Doyle, Libba Bray, showing vs telling, writing. Bookmark the permalink. I hadn’t read him in years, either. I just happen to be reading one of his now (The Cell). And I’d like to retread The Shining now that there’s going to be a sequel. Dennis Wheatley was good at creating the characters and the scene in great depth..
I’ve never read Dennis Wheatley. Do you have a favorite novel by him? I’m intrigued. Hopefully, I can check out this author and book soon!